Changelly is celebrating the company’s 4th anniversary. We at Changelly are excited to announce the opening of 4 official channels in the most popular social services in South Korea. The good news from Changelly and Enjin don’t stop with the launch of Changelly branded version of EnjinX explorer. Let’s win a prize! To build the right trading strategy and not get destroyed, you need to follow a set of simple rules mentioned below. Changelly prepared a short step-by-step tutorial on how to implement crypto-to-crypto exchange inside the new MEW. Have a look. Hey there, crypto humans! How was your February 2019? 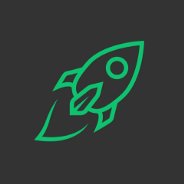 Changelly is here to shake you up a bit and report on our monthly achievements. Like all big market players, Changelly keeps an eye on the best market practices in terms of AML&KYC policy. Along with crypto market ebb and flow, Changelly team continue to inform you about the most promising projects in crypto space.